February 6, 2019 — Hagit Elul, co-chair of Hughes Hubbard’s Arbitration practice, has been appointed to serve as a member of the ICC Commission on Arbitration & ADR, the Paris-based ICC’s leading think tank and rule-making body for international dispute resolution. Elul will begin her three-year term immediately. In its research capacity, the ICC Commission proposes new policies in the interest of efficient and cost-effective dispute resolution and provides useful tools for the conduct of dispute resolution. Often carrying out specific work in smaller task forces, the commission also produces reports and guidelines on legal, procedural and practical aspects of dispute resolution. Its membership comprises an elite set of practicing lawyers, arbitrators, in-house counsel and academics from more than 90 countries. 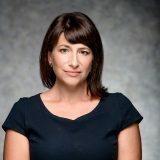 Elul, one of the few women leading arbitration practices worldwide, acts as counsel in high-stakes international disputes, sits as an arbitrator regularly, and frequently writes and lectures on topics related to international arbitration and litigation. She is chair of the Arbitration Committee of the International Institute for Conflict Prevention & Resolution (CPR) and an executive board member of the New York International Arbitration Center.